Did not see this one coming, even with just about every other band from the mid-90’s going through a late-career, old sound discovery. 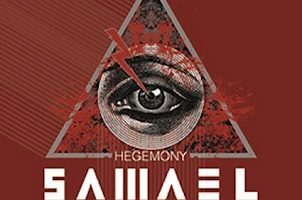 Samael have always done their own thing, whether it be the proto-BM supercharge of their Ceremony of Opposites days or the industrial metal tinklings of Passage and Eternal, but the band’s rep and profile has tapered off severely since the late 90’s, which could shed some light as to why Above is a total return to the Ceremony sound. 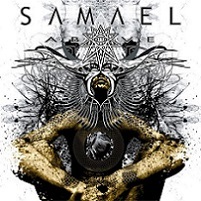 Originally conceived as a virtual death metal band called “Above,” the Swiss-based troupe (who consist of guitarist/vocalist Vorph, guitarist Mak, bassist Mas, and drummer/programmer Xy) decided to scrap the project and turn it into a Samael album. 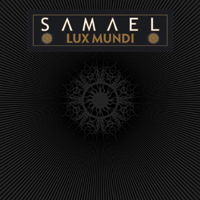 Calling Above a pure death metal album is quite limiting, as the band’s industrial fingerprints are all over this thing, especially in Xy’s way-too-loud in the mix drums, something that nearly killed the aforementionedCeremony of Opposites album. The thing with Above, is that’s not all the musical; it’s quite rackety. Noisy. Futuristic, to a degree. Songs bleed together seamlessly with little distinction and when a distinction is made (“Black Hole” is a keeper, so is “God’s Snake”) the results are leave a lot to the imagination. There is practically two tempos here and Xy’s double-bass does not let up, so right away, you’re hit with that. 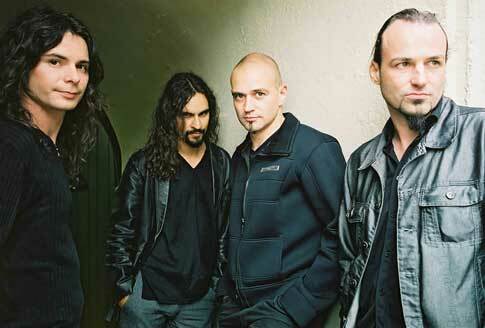 Old, primal riffage returns in “On the Top Of It All,” but that’s buried at the end of the album. There are some well-worn melodies in “Under One Flag” and “Earth Country” yet those are thrust to the back, barely recognizable with how loud the drums and vocals are. 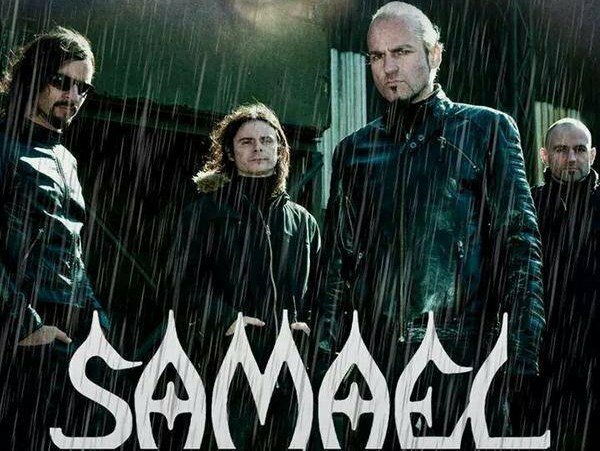 Above has all the makings of a massive Samael album. It has bravado, strong technological sensibilities and the necessary heaviness, but one has to wonder how the hell anyone is going to decipher what they’re trying to accomplish. Usually when albums described as capable of “blowing one’s eardrums” are heralded; Above had yours itching for completion and running for cover.